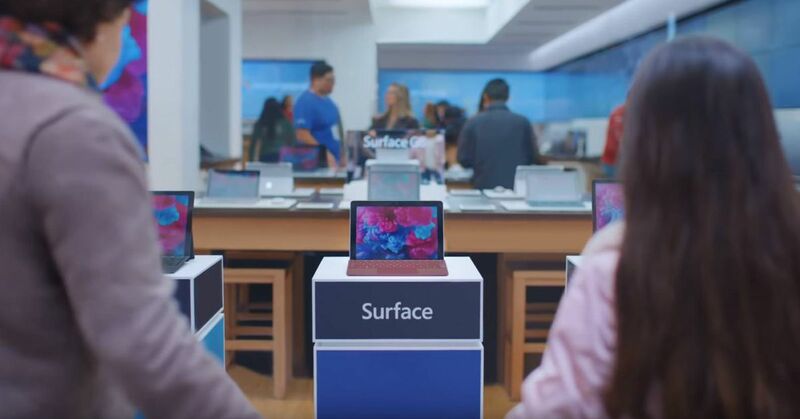 Microsoft loves bashing iPad for its Surface commercials. It first began in 2013 for Windows 8 tablets and revived its efforts a few years ago to focus on iPad Pro. Even Macs have not let the attention of Microsoft’s great ads. While Apple spreads warmly warmed vacation charm this year and Microsoft’s official holiday advertisement focuses on inclusivity, a new Surface Holiday ad allows Microsoft to more subtly bash iPad. Microsoft or a 10 year old girl in the advertisement apparently refers to Apple’s ongoing ads to place iPad Pro as a computer and competitor for a laptop. Apple first started this by asking “what’s a computer?” For an iPad ad and recently tried to convince us that tablets are the future of the calculation. Defenders of laptops and tablet advocates have discussed computers against tablets for eight years, during which time Apple has developed its iPad slowly to include a keyboard (like a laptop) and a touch screen (like a surface). These additions have broken out the lines and created even more debate about the direction of data processing will lead in the future. While Apple can try to convince you that an iPad is a computer, Microsoft will try its best to convince you that it’s not. The rest of us will simply use what works best for us, glad we know that almost all electronic devices are computers today. Happy Holidays.